Comparison is held to be one of the central methods of the academic study of religion. While many ostensibly engage in the comparative act, often overlooked is what it actually means to do this. What is comparison? Why engage in it and for what purposes? Can there be such a thing as a valid or invalid comparison? This book starts with the premise that while there are good comparisons and bad comparisons, what is common to both is the sheer artificiality of the enterprise. It then develops an analytical framework for using the method in the context of religious studies. After briefly tracing the history and genealogy of the category, Hughes draws on his extensive work in Judaism and Islam to argue that comparison can be a useful method, but only under strictly controlled conditions. Comparison is held to be one of the central methods of the academic study of religion. While many ostensibly engage in the comparative act, often overlooked is what it actually means to do this. By providing an analytical framework and a host of examples, the present volume will help students address the following questions: What is comparison? Why engage in it and for what purposes? Can there be such a thing as a valid or invalid comparison? After briefly tracing the history and genealogy of the category, the volume draws on the author’s own extensive work in Judaism and Islam to argue that comparison can be a useful method, but only under strictly controlled conditions. This introductory chapter seeks to reveal the task and paradoxes of comparison: its naturalness, its artificiality, its failure, and its potentialities. It introduces the notion that if comparison is to be an effective method it must be historical and not phenomenological, local and not global. This chapter examines some of the possibilities and limitations of description or comparison as methodological approaches by looking at some of the contexts in which the method has been approved. This will involve looking at certain examples, such as Judaism and Christianity in the period after the destruction of the Second Temple period, and Judaism and Islam in the Late Antique period. If the previous chapter witnessed some of the historical uses and abuses to which the comparative method, if in fact we can call what passed for it as a method, has been put, the present chapter seeks to confront such abuses and begin the process of reclaiming comparison for more sober-minded and analytical purposes. Examples show comparison taking place at the micro level (Smith, Dempsey), the macro level (Prothero) and the theoretical level (Paden). This chapter explores how comparison ought to work. It does this by arguing that, unlike the grand comparative schemas of the past, we ought to remove traditional and unhelpful slogans—like “religion,” “Judaism,” “Islam,” and so forth—and instead pay attention to mundane and quotidian concerns as a social actors, in specific times, places, and spaces, make sense of themselves and their social worlds. Comparison, in sum, is about attention to contexts. Comparison is held to be one of the central methods of the academic study of religion. While many ostensibly engage in the comparative act, often overlooked is what it actually means to do this. What is comparison? Why engage in it and for what purposes? Can there be such a thing as a valid or invalid comparison? This book starts with the premise that while there are good comparisons and bad comparisons, what is common to both is the sheer artificiality of the enterprise. It then develops an analytical framework for using the method in the context of religious studies. After briefly tracing the history and genealogy of the category, Hughes draws on his extensive work in Judaism and Islam to argue that comparison can be a useful method, but only under strictly controlled conditions. Comparison is held to be one of the central methods of the academic study of religion. While many ostensibly engage in the comparative act, often overlooked is what it actually means to do this. What is comparison? Why engage in it and for what purposes? Can there be such a thing as a valid or invalid comparison? Can comparison itself be compared to anything? The volume starts with the premise that while there are good comparisons and bad comparisons, what is common to both is the sheer artificiality of the enterprise and develops an analytical framework for using the method in the context of religious studies. 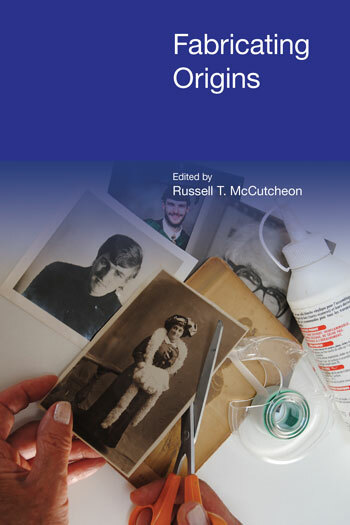 After briefly tracing the history and genealogy of the category, the volume draws on the author’s own extensive work in Judaism and Islam to argue that comparison can be a useful method, but only under strictly controlled conditions. 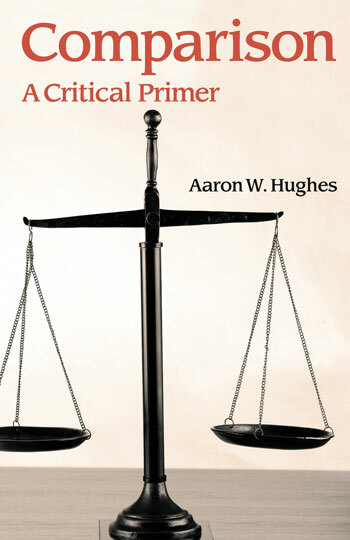 What is so helpful and, indeed, even unusual about Aaron Hughes’ Comparison is not only that it gives us a razor sharp critique of one of our most common methods of performing analysis, but also that it suggests tangible ways to do it better. Add to this the fact that his observations and recommendations are applicable to everyone who counts themselves a student of human behavior, and we have a book that is as useful as it is incisive. I know of no other book that does the same job as well. Jonathan Z. Smith’s classic Drudgery Divine is in the same neighborhood, but it is a collection of lectures, not a primer, written for scholars, not students, and it focuses more on a particular exemplum than on the meta-issues. Hughes’s book really is a proper primer on comparison. (It would also serve well as a vade mecum for students reading Otto, Eliade, et al. for the first time.) I would—indeed, I expect that I probably will—use Hughes’s Comparison as a text for upper-level undergrad or graduate courses on theory and method or (in the spirit of Hughes’s exhortation) on particular regions or traditions. Inasmuch as Hughes is especially preoccupied with criticizing phenomenology, I—as one who works on ancient Judaism and Christianity—would probably have to supplement with J. Z. Smith’s criticisms of claims to religious uniqueness. But no single book can hit all targets, and this book hits its chosen targets very skilfully indeed.